Out with the old site, in with the new site. 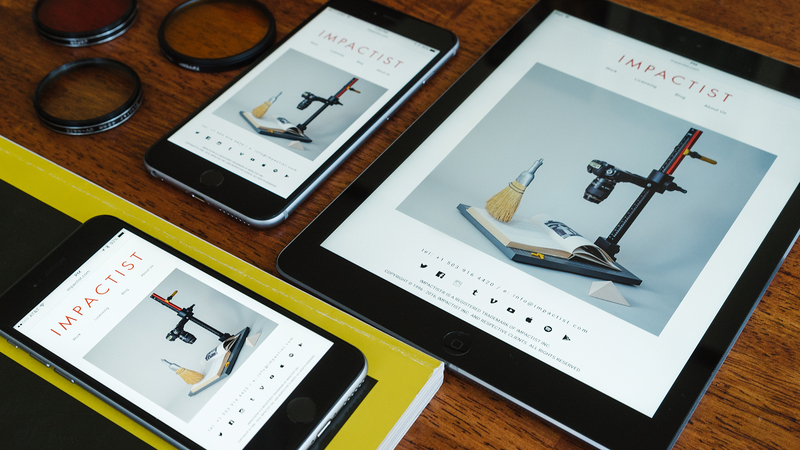 In between projects we found time to update impactist.com with sharper images and higher resolution video. Ready for your retina displays, new motion projects, new stills series, and new music have been added with even more unpublished projects to come soon! Packages for shows like The League (Season 7 & Season 6) and Fargo, a couple bumps for The Simpsons, and a bunch of music for Cartoon Network have been added. Even more music comes in the form of the Invisible Snake EP which is now on the site through shop links to download or stream, alongside additional photographic and paint series. Reminder: if you’re not on Instagram, you can find an ongoing archive of our daily posts on the blog, too.